Glad you binned off the cinema tonight? See we told you it would be a cracker. And if you did sneak off for a cheeky Wednesday night out then make sure you head here to see all the highlights. Back to Premier League action at the weekend - see you then! West Brom manager Tony Pulis: "That's what the FA Cup is all about, the smaller team pushing the bigger team to the limit and they did that. Credit to them and British football. It is nerve-wracking but Peterborough should take a lot of credit. "We want to do well in FA Cup but it has certainly affected us with injuries and pressure on the players. I want to do as well in the Cup as I have tremendous respect for it. On whether Saido Berahino, who missed a later header, will start in the Premier League: "We are going to do a lot of heading practice. that's what he's given me to think about." "Every player in a blue shirt can say they gave their all tonight and that is all you can ask for." West Brom keeper Ben Foster talking to BBC Sport: "It wasn't easy, it was a very tough game. Fair play to Peterborough, they pushed us all the way. We knew they would try to get on top of us and they came at us from the start. It was a decent cup tie. "I have to apologise to our fans, I should have saved their goal. It got a deflection and some of the pace was taken out of it, it was scrappy. "But we reacted well and got the goal back quickly. After that I thought we were the only one team that looked like scoring. "I love shootouts! I think most goalies do. We've got nothing to lose." Fair play to Martin Samuelsen for fronting up. I'd have told the TV producer that I had to go quickly to catch the last bus home. Peterborough midfielder Martin Samuelsen: "Losing a penalty shootout is the worst way to lose. "We dominated the game in possession, we ran the most, and it was unfair the way it happened." "Peterborough fans can be proud of their team tonight, tiredness just caught up with them at the end." Injured Peterborough midfielder Jack Collison on BBC One: "They put in a great shift tonight. It is a disappointing result but they can take a lot of heart from it and transfer it to the league." Posh are currently eighth in League One, three points outside the play-offs. Albion skipper Darren Fletcher looks like a relieved man. Not surprising seeing as he fluffed his penalty. "That was a real tough match," he tells BBC Sport. "It was a great cup tie and someone has to go through. "It was a terrible penalty from me, I was too busy looking the goalkeeper." 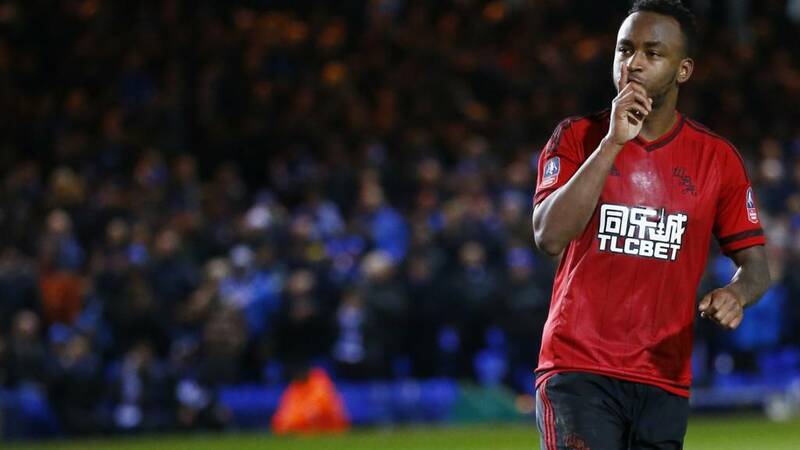 Well they made hard work of it over 210+ minutes, but West Brom are finally assured of a place in the fifth-round draw. Next up? Championship side Reading at the Madejski Stadium on 21 February. Peterborough boss Graham Westley: "Our lads will gain so much from that experience. They performed tremendously but now we have the league to concentrate on, as any manager would say." Lee Angol's eyes fill up...poor lad. Albion have got themselves off the hook. Long run up from Lee Angol, he shuffles up, lacks conviction...saved! Easy for Ben Foster. Westley can't watch. Neither can we. Chester sends the keeper the wrong way, slamming into the left corner. Ooof! Fox sneaks one into the bottom left corner. Foster almost gets a hand to it. Quality peno. Unbelievable! Inexcusable for a man with so much experience. Fletcher skews wide of the goal! Oh no! Samuelson has been impressive all night...until now. Never looked confident and Foster saves with his legs. Experienced heads are needed in these situations. That's what Gardner does. He guides one into the same side as Maddison.